Through careful coordination, collaboration and innovative processes, Gilbane minimizes disruptions to working tenants while maintaining the project timeline. 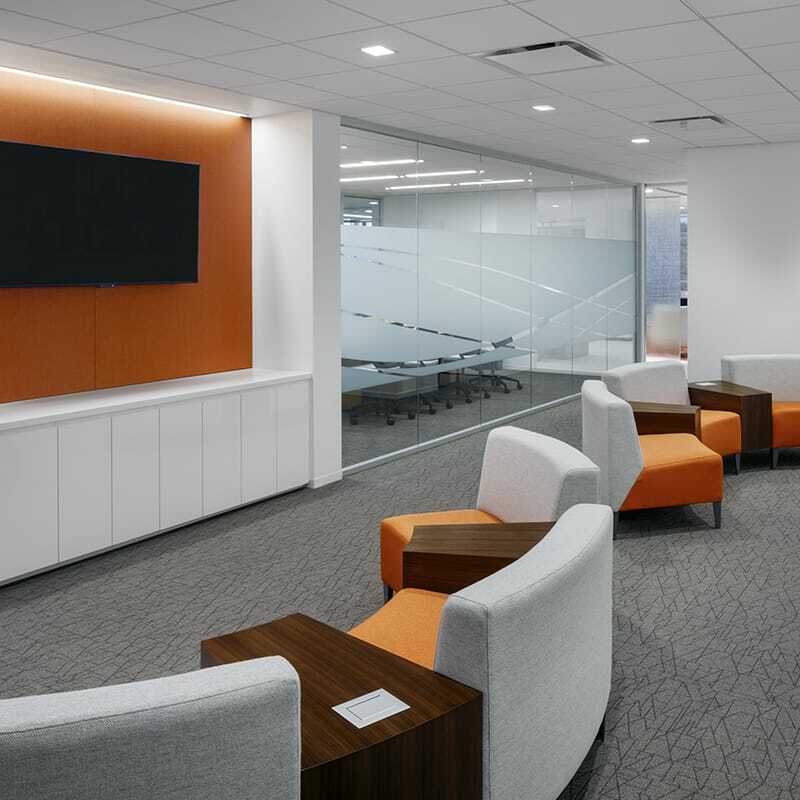 Gilbane provided general contracting services for a 64,000-SF renovation for Wells Fargo at the Lees Farm Corporate Center located in Danbury, Connecticut. This project was completed in three phases. To meet Wells Fargo’s requirements, Gilbane constructed the Main Distribution Frame in an occupied area during the first phase of the project. To facilitate this, Gilbane completed significant electrical relocations and temporary electrical feeds. 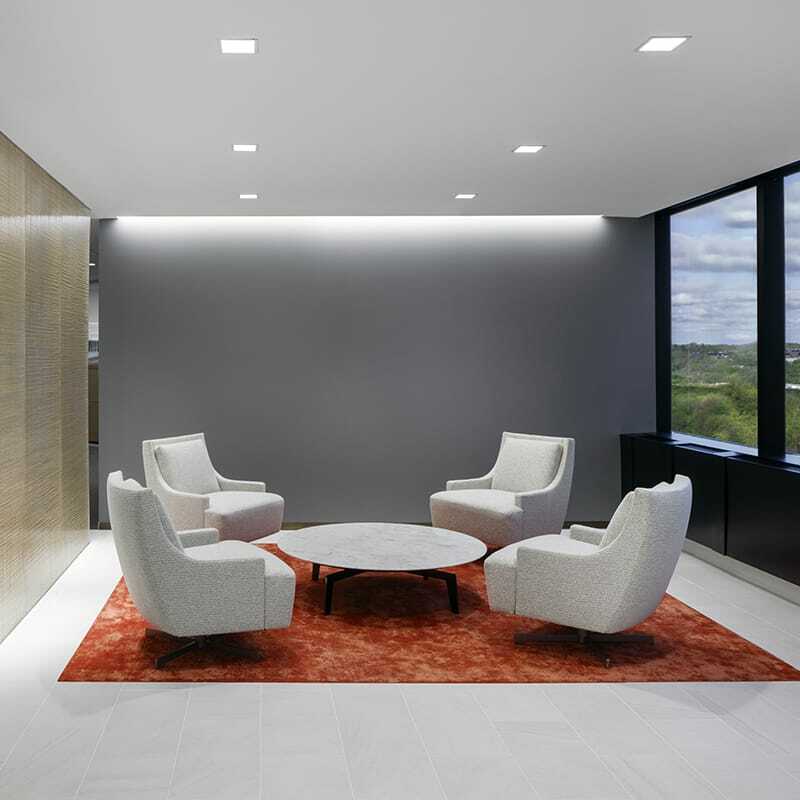 The project featured a high-end café space, video conference rooms, open office area seating and lobby improvements. 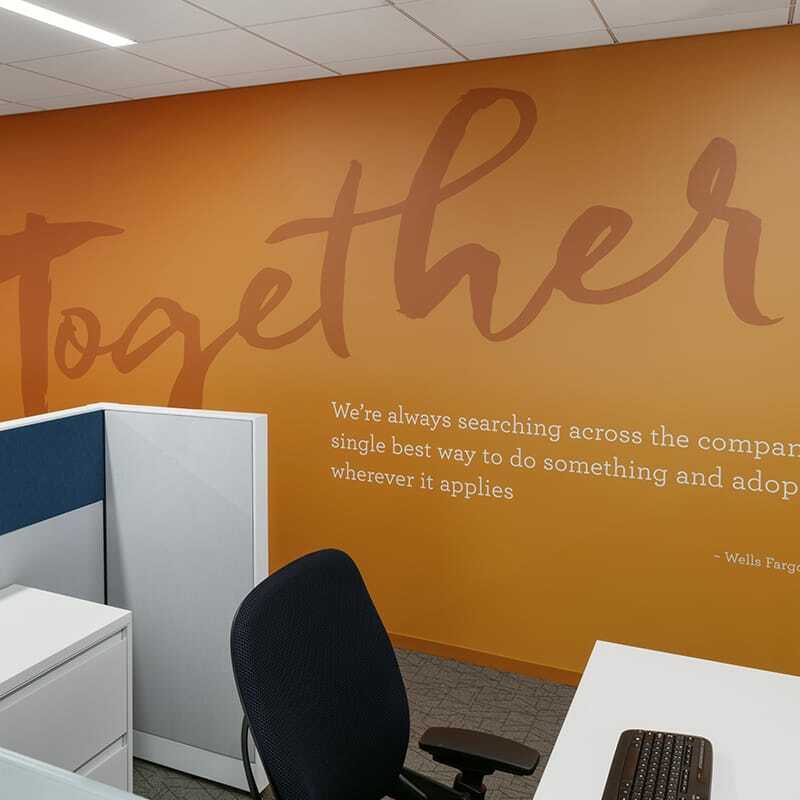 Gilbane worked closely with Wells Fargo to coordinate the installation of owner furnished items such as furniture, audiovisual equipment and satellite equipment. The work consisted of a complete gut renovation to the existing space, inclusive of new ductwork and plumbing systems. 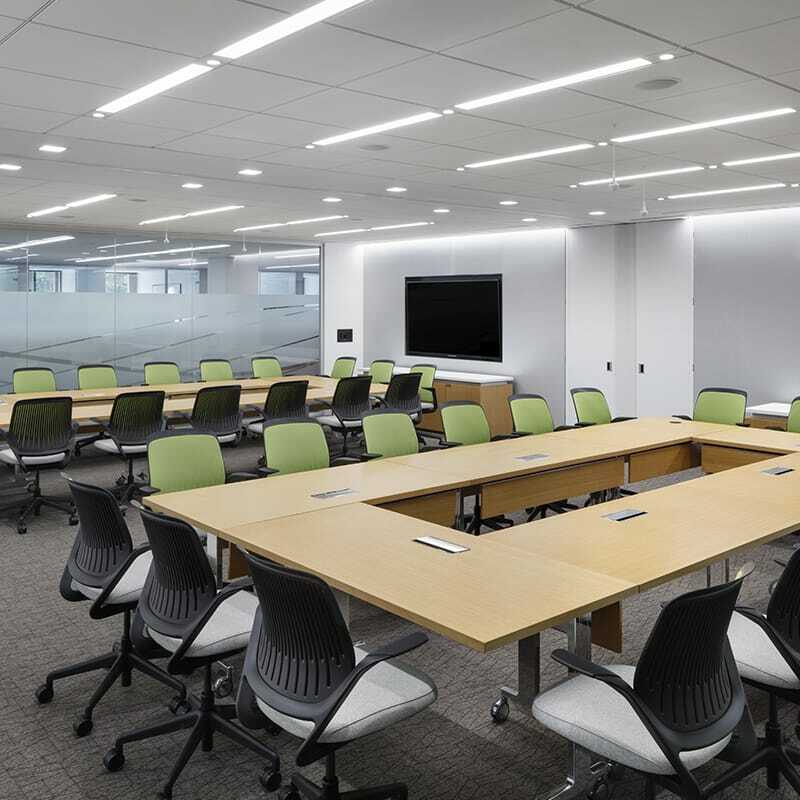 In addition to new private offices, conference rooms, and huddle spaces, the renovation also included multiple IDF rooms with UPS battery backup systems and computer room air conditioning (CRAC) units, along with a new café lounge area. The existing building work regulations and tenants created unique challenges that were overcome through careful coordination and unique solutions such as removing existing windows to allow for more direct demolition debris removal. Gilbane partnered with Wells Fargo and their designated national lighting account to ensure the procurement process met our schedule dates. The phase 1 order was prioritized for manufacturing to meet the timeline. Phase 2 and 3 orders were delivered to the site as soon as possible to allow the order to be reviewed and to meet our above ceiling dates.